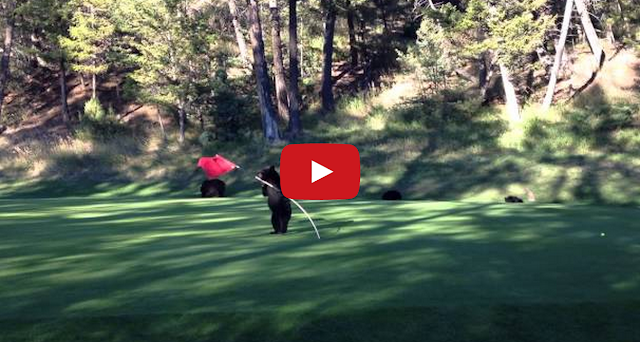 Andi Dzilums filmed an adorable baby black bear playing with the flag on the 15th green of the Mountainside Golf Course at the Fairmont Hot Springs Resort in British Columbia. Cute . So where was the Mama?? ?